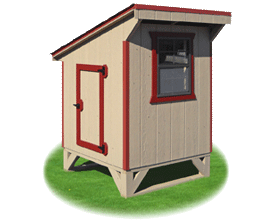 Our portable coops can be moved around a field or pasture to provide your chickens with fresh grass, bugs and seeds. 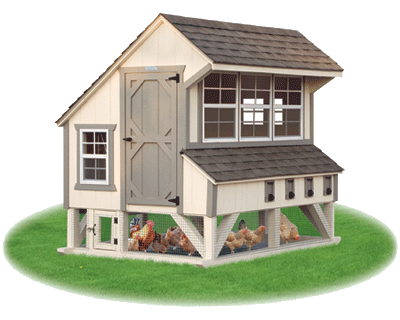 It’s often known as the chicken tractor-style coop. 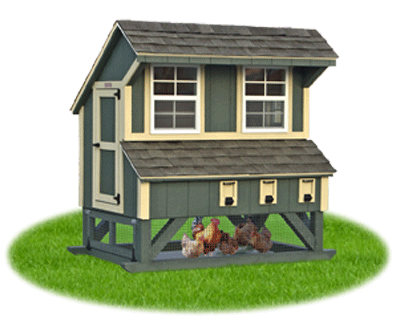 A permanent coop is designed to stay wherever you first set it up and is best if you have only a limited amount of space for your backyard. Designed for up to 10 chickens. 2 nesting boxes, and roosts. Designed for up to 15 chickens. Designed for up to 25 chickens. Our wheel kit allows you the ability freedom to move your coop.